Preprinted panel backed with flannel. Using a preprinted panel is a great way to make a super simple quilt. And if you want just a lightweight cover, you don’t even need to add batting! With a little help, even very young children can make this easy blankie. 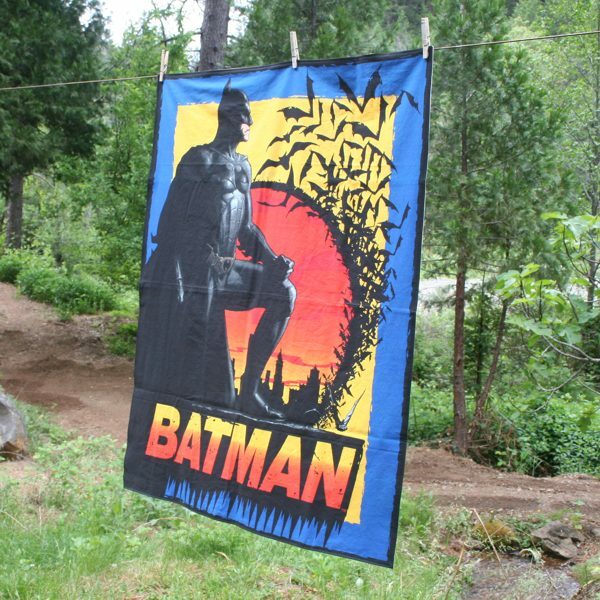 All you need is a preprinted panel and a piece of flannel that is a little bigger than your panel. Prewash and machine dry the panel and the flannel. You want to make sure that neither shrinks later. Iron the panel. If your panel looks out-of-square, grab opposite corners that need to be brought into position and give a gentle stretch. Once you have the panel pulled square, trim the edges, if needed. 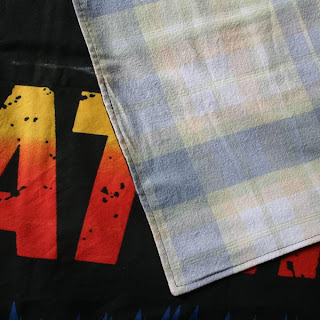 Iron the flannel and then lay it right side up and smooth it from the center to the edges. Lay the panel right side down on the flannel and smooth it from the center to the edges. The flannel will ‘grab’ the panel and help hold it in place. Pin along the edges of the panel to secure it to the flannel. Sew around the perimeter of the panel ½-inch from the edge, leaving a 6-inch opening on one side. Trim the flannel even with the edges of the panel and cut across the corners diagonally close to the stitching to reduce bulk when you turn your blankie. Turn the blankie right side out through the opening. Reach inside and poke the corners out nice and square with your finger or the tip of your scissors and then iron a crease on all four sides. Be sure that the edges of the opening are folded neatly to the inside. Close-up of opening sewn closed. Stitch around the perimeter of the blankie ¼-inch from the edge and your blankie is done! 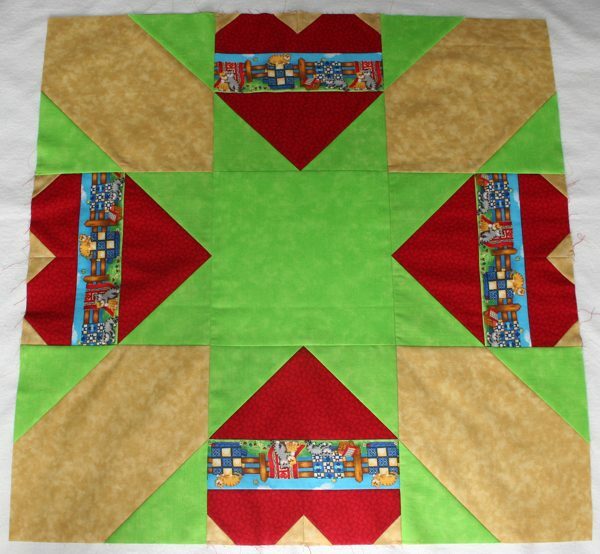 While piecing is usually fun for kids as they get to watch the quilt take shape, finishing a quilt is often a challenge, especially for a young child with a short attention span. In fact, finishing is often a challenge for adults, too - that's why we have so many UFOs (unfinished objects) that need attention. Face it - sandwiching, quilting and binding can be tedious. So what to do? 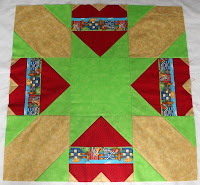 For kid-friendly quilting, I recommend tying by hand or hand quilting with big stitches. Either of these methods will produce quick results and your child's quilt will be done in no time - but for the fastest, easiest quilt finish, you can't beat simple ties. Lay your sandwiched quilt out flat and smooth. If using a bed (my personal favorite!) or carpeted floor, slip a large piece of cardboard under the part of the quilt you're working on so the needle doesn't catch on the bedding or carpet. Thread a yarn needle with crochet cotton or yarn that coordinates with your quilt. Stitch through the layers every 4-6 inches. 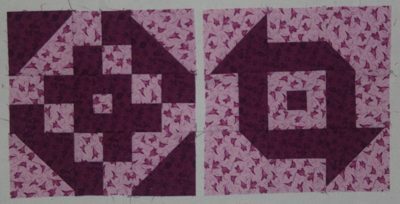 It's best to start in the middle and smooth the quilt layers as you work toward the edges. For extra durability, you can form a double stitch by putting the needle back through the layers and then bringing it out again in about the same spot. Tie each pair of yarn tails into a snug square knot and then trim the tails to about an inch or so. Simple potholder madefrom old clothes. Potholders are the perfect sewing-with-kids project. They’re super-fast and super-easy, and you can even make them with all recycled materials so they’re super-free, as well. To top it off, they make great gifts! As you know, potholders are a must in every kitchen and who doesn’t need new ones? Anyone out there? 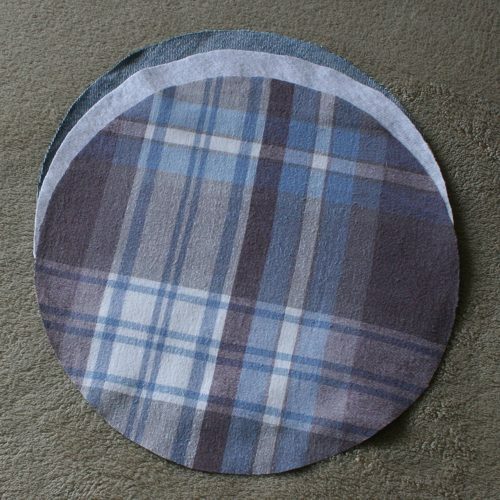 Here at Quilting and Sewing with Kids, we’ve talked about potholders before. The handprint potholders are really nice, especially for moms and grannies, but making them takes time, materials and some skill. To make potholders that require almost none of these three things, try making simple potholders from recycled cotton clothing. Cut apart the jeans and shirts at the seams so that you can lay the pieces flat. Lay the dinner plate on the fabrics and draw around it with the permanent marker. Cut out the circles. 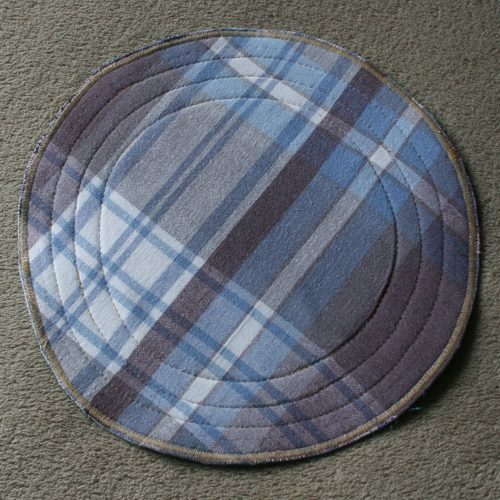 For each potholder, you’ll need a circle of denim, a circle of sweatshirt and a circle of flannel. Layer your circles with the sweatshirt between the denim and flannel and the pretty side of your denim and flannel facing out. If you don’t think this is thick enough for a potholder, you can add another layer of one or more fabric. Just be sure you don’t get it too thick to sew through! 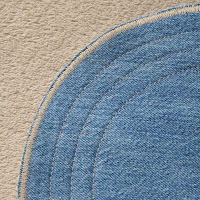 You can also make potholders with denim on both sides for added thickness. Sew your circles together. You can sew around the circle a few inches in from the edge or sew across from one edge to the other or whatever you want. Just so the layers are sewn together. Zigzag and trim the edge. Zigzag around the circle as close to the outside edge as possible. Go around a two or three times to finish the edge. Trim close to the stitching, if necessary, and sew on a hanging loop, if desired. 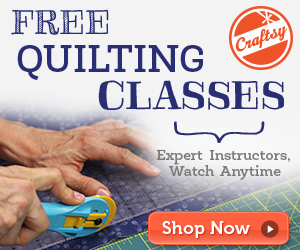 Craftsy offers a variety of online sewing and quilting classes that you can watch at your leisure. In addition, there are tons of patterns and member projects posted on the site. 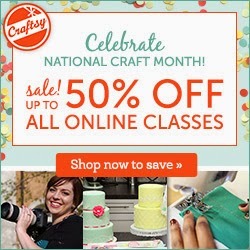 Membership at Craftsy is free and so is a lot of the content, including many patterns and some of the online classes. Join me in Leah Day's free motion class! I just joined a few weeks ago and have signed up for several classes, both free and paid, and my favorite to-date is Free Motion Quilting a Sampler. The instructor, Leah Day, is excellent and so is the course content and video quality. 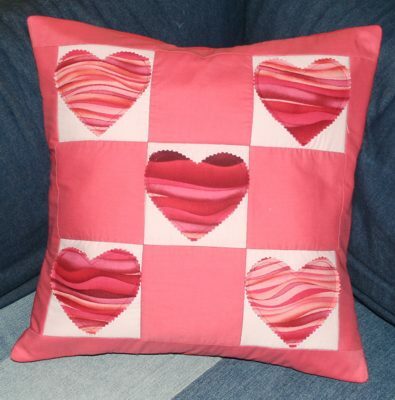 Although I’ve been sewing for nearly 50 years and quilting seriously for over a decade, I’m still learning lots! In fact, I’m heading into the sewing room shortly to try free motion stitch-in-the-ditch. Leah Day makes it look easy and if I can master it, I’ll save a ton of time! One of the especially nice Craftsy features is that access to your classes never ends. That’s right – your classes are forever. I’ve done other online classes that are time-limited and it just doesn’t work for me. In addition, Craftsy members can post questions and their projects so you get to interact with your fellow students and see what others are doing. 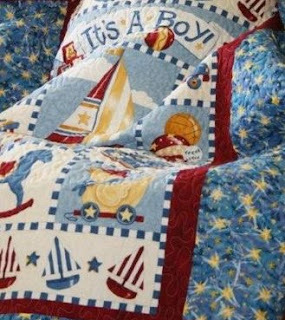 Although I don’t have specific examples for this post, I’m sure that you can easily find more ideas for quilting and sewing with kids than you’ll ever have the time to use. Much of what is posted there is appropriate for beginners, so head on over and take a look! 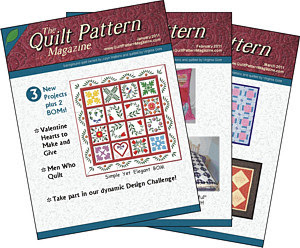 Launched in January 2011, The Quilt Pattern Magazine is a wonderful online-only publication with a nice mix of projects for every skill level. 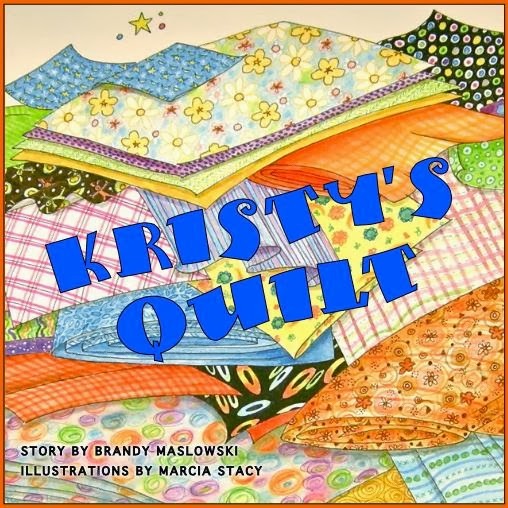 Although the title contains the word "quilt", the magazine has plenty of variety. And not only are there quilting/sewing projects galore, you'll also find articles, tutorials and even crossword puzzles! Access to each issue online for two months, during which time you can download it to your computer for enjoyment forever. Access to the social network, Pattern Pastiche. Templates for various projects in each issue. And no clutter! What could be better than that? I've been a subscriber since the beginning and plan to continue. I love the variety in each issue and the fact that I can read and store the magazine on my computer and then print projects only if needed. Sure saves space and paper! Plus, how many times have you been unable to find a specific project once the magazine is shelved? I know it's happened to me plenty! Fun and easy throw pillow. ...and some UFOs, as well. Playing around with color and contrast. So head on over to The Quilt Pattern Magazine and check it out! You can make a simple yet luxurious tied quilt in less than a day. You don’t need any batting and can finish the quilt by hand or by machine. This cozy quilt is a great project for kids and makes a perfect gift for any occasion. Delight your friends and family on birthdays or at Christmas. 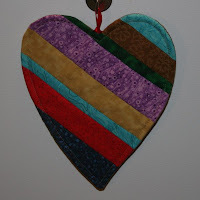 This quilt is so simple, you may even want to make one for everybody on your list! Choose an evenly woven plaid flannel sheet in any color combination desired. An even weave is important as the lines will be used to guide tie placement and trim the outside edge. Choose furry or poodle fleece in the color desired, either to coordinate or contrast with the plaid flannel. 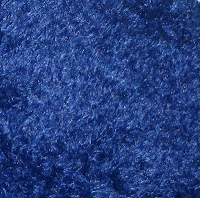 A regular acrylic yarn in a color as close to that of the fleece is best. Choosing yarn that closely matches the fleece ensures that it will be completely invisible on the furry fleece side of the quilt. Wash and dry the flannel sheet to prevent future shrinkage. 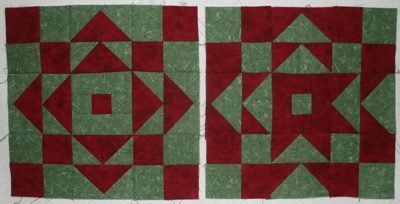 Cut to desired finished quilt size using plaid lines as a guide. As the fleece is 58 inches wide and 72 inches long, the absolute maximum size the flannel can be cut is 52 inches by 66 inches. Cutting the flannel a few inches smaller than that each way will provide more leeway for trimming the fleece and turning the edge. Lay the fleece out flat for a few hours or overnight to relax wrinkles or creases. For severe creasing, try tumbling the fleece in the dryer for 10-15 minutes without heat, if necessary. Lay the fleece out flat, wrong side up, and gently smooth from the center to the edges. 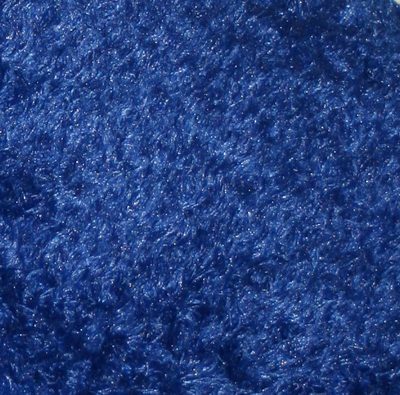 This can be done on a bed, the floor or any flat surface that is large enough to allow the fleece to lay completely flat and provide easy access to at least 3 sides. Do not worry if the fleece is not completely square. This will be taken care of later. Lay the flannel, right side up, on top of the fleece and smooth, being careful not to shift or distort the fleece. At this point, the layers can be basted together, if desired. As the flannel often “grabs” the fleece, basting may be completely unnecessary. Using a yarn needle threaded with the matching yarn, take a stitch through both layers every 4-6 inches along the plaid lines. For best results, put the needle back through both layers and bring it out again in about the same spots, forming a double stitch. Tie a square knot and trim the ends to about an inch or so. For best results, start in the center and work your way to the edges, smoothing both layers as you go. 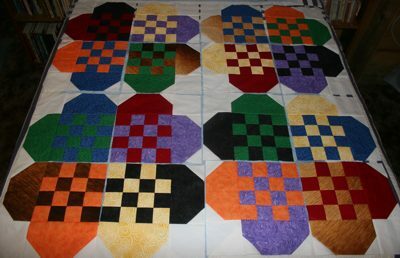 Continue until the entire quilt is tied. Place a large piece of cardboard underneath the area being tied to provide a firm surface and prevent the needle from catching on the bedding or carpet. The flannel sheet was trimmed to the finished quilt size prior to sandwiching the layers together. Using the ruler or tape measure, trim the fleece on each side to be 3 or 4 inches larger than the flannel. 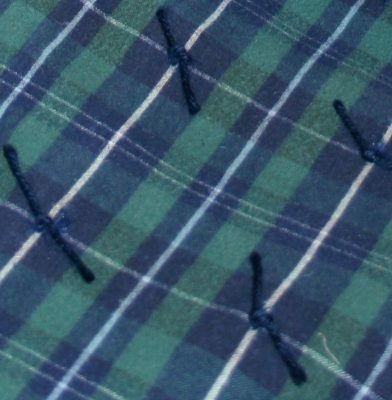 Working on one side at a time, fold the fleece toward the side with the ties so that the crease is even with the edge of the flannel. Fold the fleece under itself to meet the crease and pin in place. 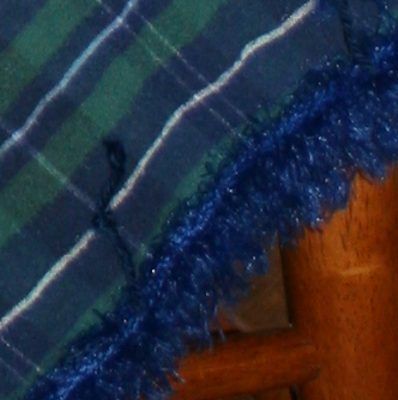 Hand or machine stitch close to the inside edge of the folded fleece. Repeat until all sides are sewn down. NOTE: There will be extra bulk at the corners so stitch slowly if sewing by machine. Give the finished quilt as a gift or keep it for yourself. 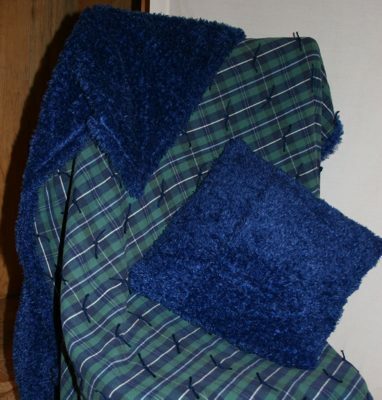 The flannel and fleece combine to make a truly luxurious yet simple quilt!